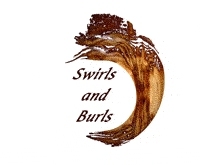 Welcome to Swirls and Burls, the fine woodworking design and sales gallery created to showcase John Auger's artwork. ". . . owning finely made wooden artistry is like nothing else. It is warm and comforting. The exotic woodgrain invites you to look into its depths. The silky smooth finish is richness itself."